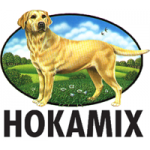 HOKAMIX Skin & Shine A liquid food supplement especially for dry skin and poor coats. 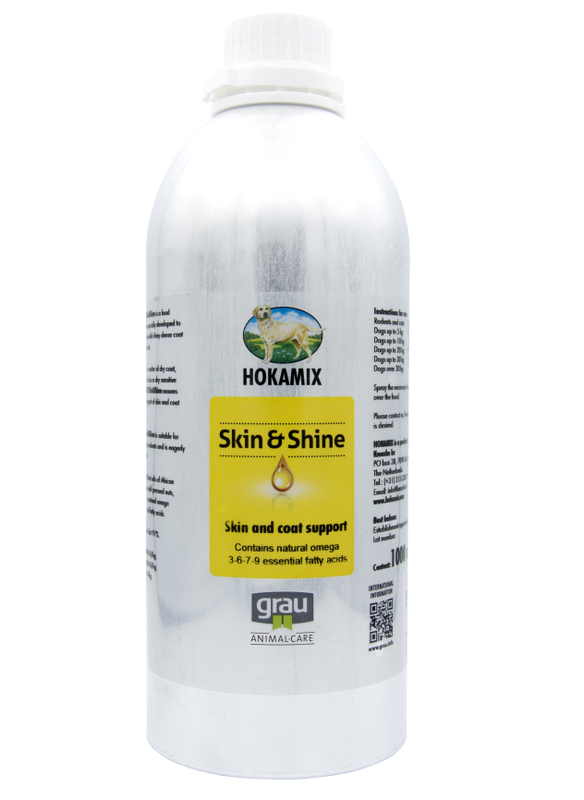 Hokamix Skin & Shine is rich in Omega 3, 6 and 9 fatty acids from cold-pressed nuts. 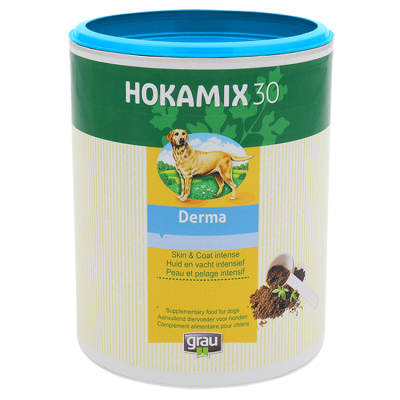 It improves the skin and coat condition considerably and decreases inflammation. 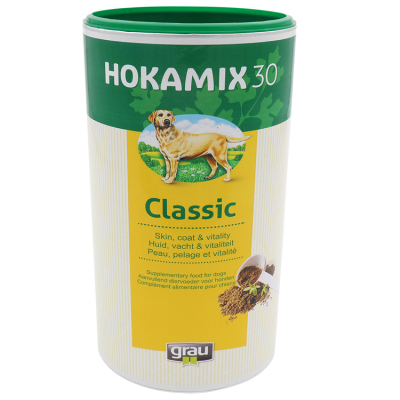 Also perfect to use in combination with Hokamix Forte to achieve a quicker result. Fatty acids are essential for the body. The body can’t generate them itself so they need to be added to the diet. 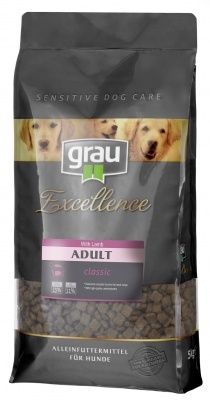 Today's complete foods already contain essential fatty acids but due to the heating of the product and because the bag is left open for long periods, their action diminishes considerably. As time passes these fatty acids react with oxygen and are converted from unsaturated to saturated fatty acids that have little benefit. A deficiency can cause baldness (alopecia), greasy coats and skin infections. These complaints can be relieved, and also prevented with Skin & Shine. 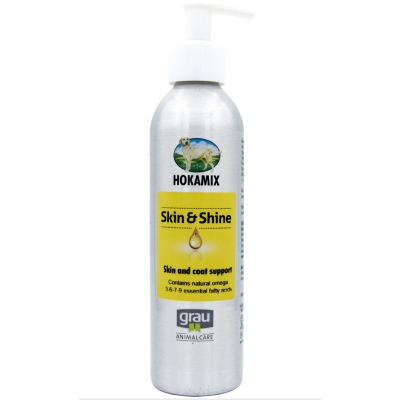 Skin & Shine, a remarkable product! Most products only contain Omega 3 and 6 based on fish oil. That can create a greater risk of diarrhoea and have a shorter term preservation. Fish can also be contaminated with, for instance, heavy metals or antibiotics. Skin & Shine is rich in Omega 3, 6 and 9 fatty acids from cold-pressed, unrefined nuts. Furthermore the content of vitamins is slightly elevated for a better and faster effect. The aluminium bottle with pump dispenser completely protects the product from (sun)light and oxygen and this prolongs the active life of the fatty acids. The product is easy to administer. 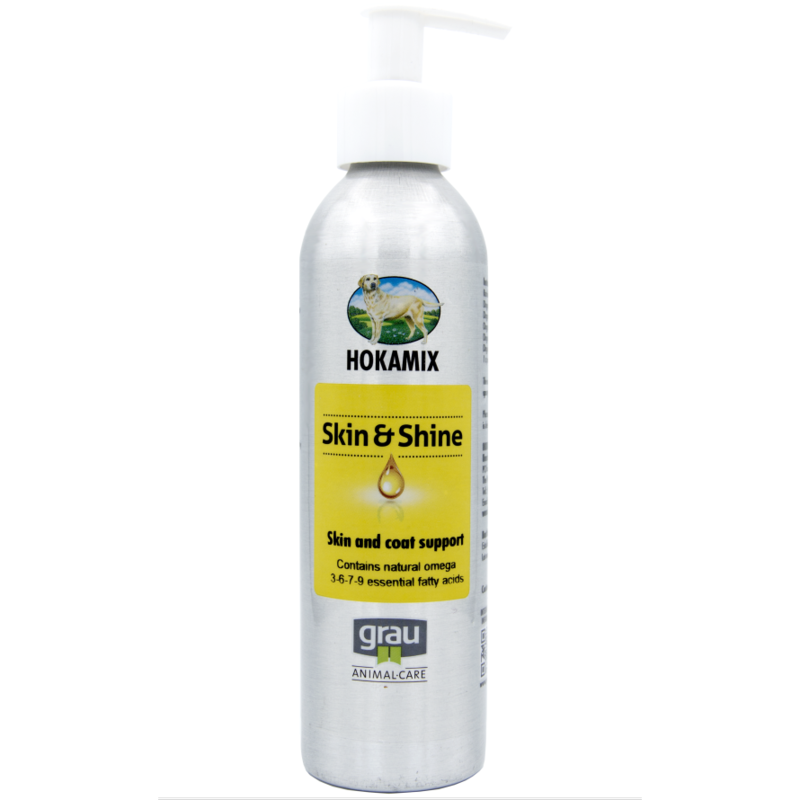 Skin & Shine is available in a pump dispenser of 250 ml. or a refill bottle of 1 litre. Oils and fats (purely vegetable and cold pressed from African and American nuts), which contain very high proportions of palmitic acid, stearic acid, oleic acid, linoleic acid, linolenic acid and arachidonic acid.